I think I need this one on a yarn-stuffed tote bag! 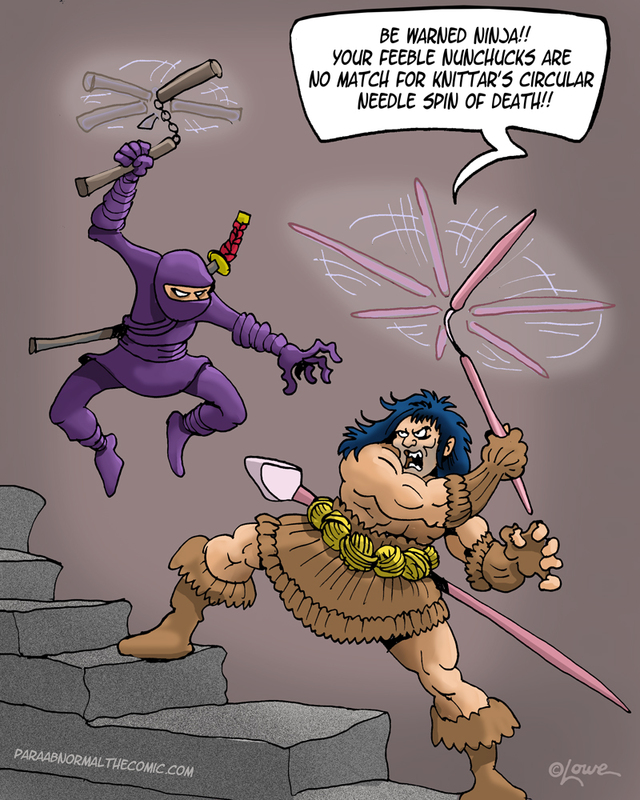 More gems from Dave Lowe at paraabnormalthecomic.com, in celebration of March being Crafts Month. 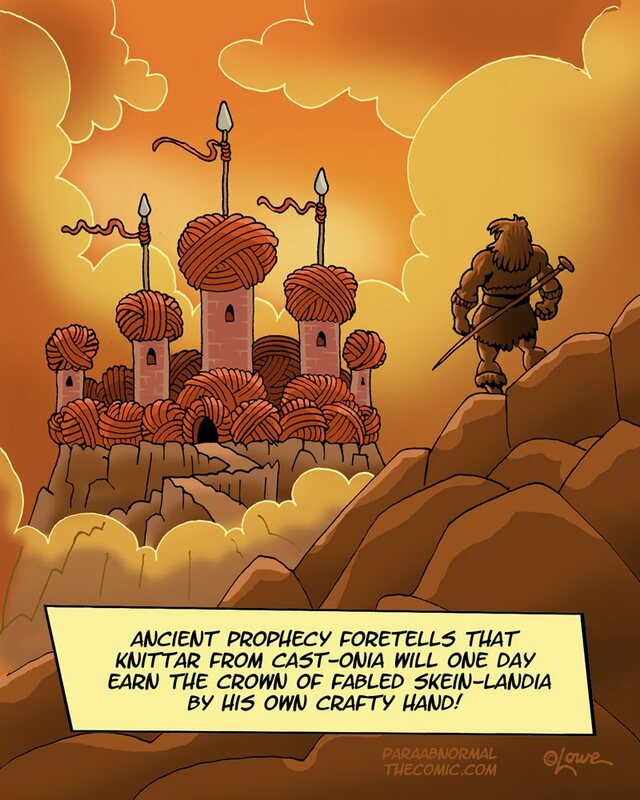 Release your inner Knittar! Check it out! 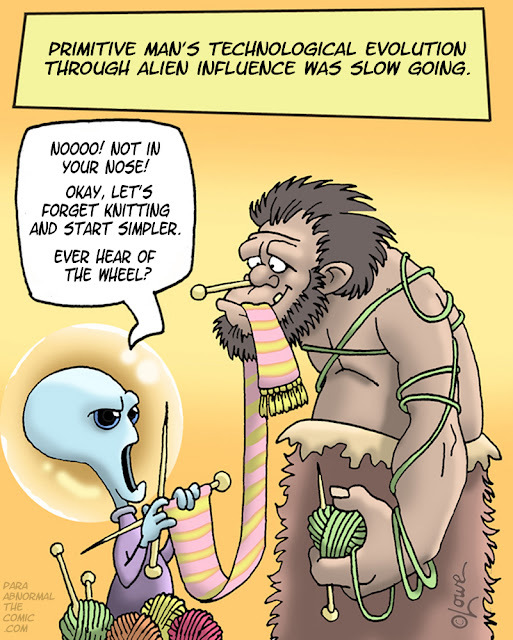 A whole comic strip all about knitting! If you’re trying to cut down on your carbs, pasta is out. But you can still knit yourself some edible underwear! As an avid knitter with a degree in mathematics, this amuses me to no end! Hilary B. Price must be a knitter, ’cause she’s sure got our number!